Alfred Michael Dockery is Principal Research Fellow with the Bankwest Curtin Economics Centre. From 2011 to 2016 he managed the Population Mobility and Labour Markets project within the Cooperative Research Centre for Remote Economic Participation. Mike has an extensive track record of applied research in academia and for government policy agencies, including as Director of the Centre for Labour Market Research from 2010 to 2013. 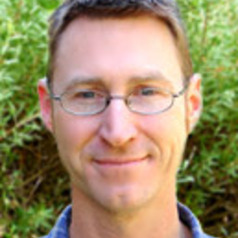 His research has focussed on outcomes for marginalised groups within the labour market, the economics of education and training, the school-to-work transition, subjective-wellbeing (or ‘happiness’), Indigenous socio-economic outcomes and the influence of public housing policies on employment outcomes. Mike has published over 40 peer-reviewed papers in national and international journals, including the Economic Record, Social Science & Medicine, Economics Letters, International Labour Review, Social Indicators Research, International Journal of Manpower, Economic Papers, the Australian Bulletin of Labour, Australian Journal of Labour Economics and Studies in Higher Education, plus a variety of book chapters and monographs.